Thermal replacement windows offer an effective way to make your home more energy efficient and lower your utility bills? Thermal replacement windows are typically double paned windows, although they can even be triple-paned, and are usually at least twice to quadruple as efficient as single paned windows. It means that your home will be more comfortable in both the heat of the summer and the cold of the winter because there will be far less heat transfer through your windows. It also means that your utility bills will not make you run and hide. The cost to heat your home in the winter typically drops about 20 – 30% when you opt for thermal replacement windows to replace your old single paned windows. How much you actually save, however, will depend in part on how drafty your old ones really were, how large your home is, and how high your heating bills were. These replacement options are almost always energy star certified. When you start looking for thermal replacement windows, you may be confused by some of the terminology used to define the options and thermal ratings that will affect their energy efficiency. We’re here to decipher some of those terms to make it easier for you to shop for thermal replacements as a knowledgeable consumer. The U-factor is one of the most important ratings to consider, especially if you live in a cold weather climate. It measures the amount of heat loss that any particular window allows, and therefore gives you an indication of the energy efficiency. 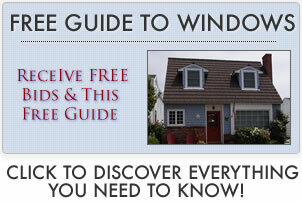 The lower the U-factor, the less heat loss that occurs and the more efficient the window is. Like the U-factor, the solar-heat gain coefficient measures heat transfer, but in this case, it measures the amount of heat gain through the windows when the temperatures are hot outside. The rating is expressed between 0 and 1, with lower numbers indicating lower heat gain and therefore higher thermal efficiency. If you live in a warm weather climate, this number is worth taking into consideration. This rating, expressed in a number between 0.1 and 0.3, indicates how much exterior air can leak through your windows, once installed. All windows will allow some amount of air leakage, but for the least amount of leakage, fixed or awning style are good options. This rating indicates how well the window resists forming condensation, with a higher number being a better option. As homes become better insulated and less ventilated to improve energy efficiency, it makes it more likely that condensation can occur on the windows. If you live in a humid climate, this is a rating you should especially pay attention to. This rating, also known as VT, indicates how much light passes through a window – the higher the VT rating, the more light that will pass through a window. This rating doesn’t affect energy efficiency much. It is more an indication of how bright your room will be. The different terms and ratings are all important in evaluating the performance that your replacement windows will offer, but which ratings are most important may depend in part on where you live and what the climate is like. For example, if you live in a cold climate, the U-factor is probably the most important rating to consider since it indicates the amount of heat loss through the window. For warm climates, you should put more emphasis on the solar-heat gain coefficient. Those who live in climates with high humidity should consider the condensation resistance rating. If you live in areas prone to excessive winds, you may pay more attention to the air leakage rating. Knowing what each of these ratings mean and determining which factors are most important to you will help you decipher the sometimes confusing world of buying thermal replacement windows and will give you a reason to tell the sometimes pushy salespeople you’ll encounter to skip the sales pitch. By knowing the ratings, it will make it easier for you to compare different types of windows and decide which ones are right for your home, and your budget.